Secret of the Study played smoothly. The varied puzzle types presented a well-paced, team challenge. With more focus on the set, Enigmatic Escapes could enhance the excitement of their adventure. 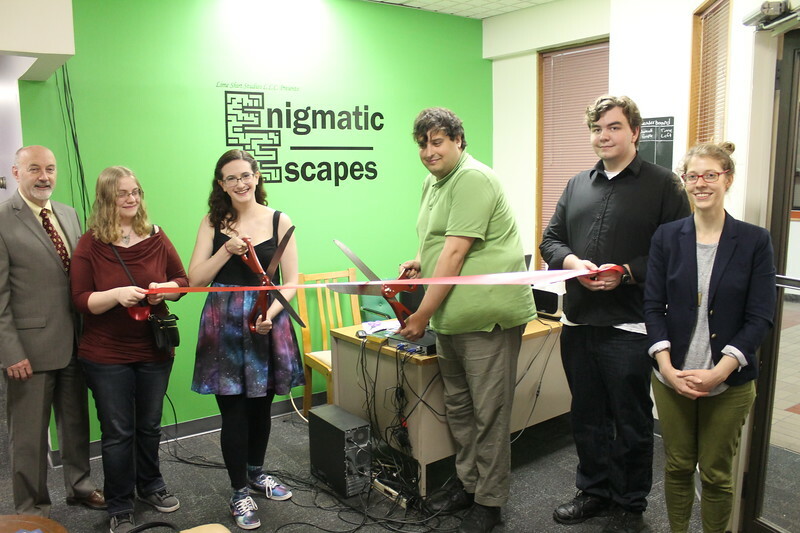 Enigmatic Escapes delivered a well-refined, puzzle-focused escape room. From a puzzle and flow standpoint, this game had a lot of appeal for us. The city’s first escape room is now open and operating, offering guests an interactive entertainment experience of a real live detective story right in the heart of downtown Troy. Brilliant Prof. James Prosper entered his spacious Troy study a year ago and vanished, leaving behind patents for inventions that can save or destroy Earth. His friends have gathered in the elegant study to find the patents and protect them from his evil business partner headed this way. This will also be their only chance to find clues to the professor's whereabouts.